UNITED STATES: American Electric Power (AEP) has cancelled its 2GW Wind Catcher project after Texas' Public Utility Commission (PUC) rejected it. 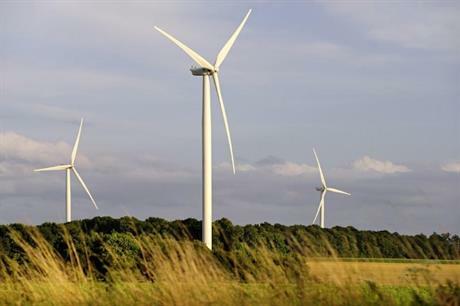 It had secured project approval from Arkansas and Louisiana’s Public Service Commissions and from the Federal Energy Regulatory Commission (FERC) for the 800-turbine, 2GW wind farm in Oklahoma and invested more than $2.9 billion in it last year. However, the PUC of Texas denied approval of the project as proposed on 26 July, explaining that it did not offer sufficient benefits to consumers. Nicholas Atkins’ AEP’s chairman said rejection in Texas meant the project would be unlikely to be completed by the end of 2020 and therefore ineligible for 100% of the production tax credit (PTC). He that this was needed "to realise the full benefits of Wind Catcher for customers". "We are disappointed that we will not be able to move forward with Wind Catcher, which was a great opportunity to provide more clean energy, lower electricity costs and a more diverse energy resource mix for our customers in Arkansas, Louisiana, Oklahoma and Texas," Atkins said. Wind Catcher, which would have been one of the largest wind farms in the US, was due to comprise 800 GE 2.5MW turbines. Invenergy was developing the site in Oklahoma’s panhandle region in the north-west of the state prior to its proposed sale to AEP subsidiaries Public Service Company of Oklahoma (PSO) and Southwestern Electric Power (SWEPCO). The two AEP-owned utilities had asked regulators in Louisiana, Arkansas, Texas and Oklahoma to approve their purchase of Wind Catcher and plans to build the power line to serve more than 1.1 million customers. Wind Catcher’s 2GW capacity was due to be part of AEP’s plans to add 5.3GW of wind power to its portfolio by 2030. The utility also planned to add just over 3GW of solar PV by this date. According to a report in February, AEP had a deficit of nearly 2.8GW between its pipeline and its 2030 ambitions.